Reynolds Transfer & Storage, Inc. has a modern and diverse fleet of trucks and trailers that offer a nationwide heavy haul capacity of up to 85 tons including the ability to move product worldwide. We have extensive experience with heavy equipment moving with some machinery moves weighing over 300 tons. Additionally, our fork-trucks and gantry systems have 40 ton capacities, and our lift capacity is 600 tons. Our specialized heavy machinery hauling equipment helps us get the job done right. The Versa-Lift 40/60 fork truck is a prime example. With the frame retracted, it shrinks to the size of a 20,000 pound fork truck to easily maneuver through small areas. With the frame extended, the same fork truck can easily pick up 60,000 pounds. The detachable riggers boom adds further flexibility, allowing it to pick pieces from above. Using the Traksporter, we can move heavy machinery in very tight spaces. And, although we have the latest in moving technology, we know when to accomplish the job using time-tested methods. Over 120 years of experience allow us to safely and efficiently complete your heavy haul project. Our extensive history and experience supports the reputation we’ve earned as heavy machinery moving experts. 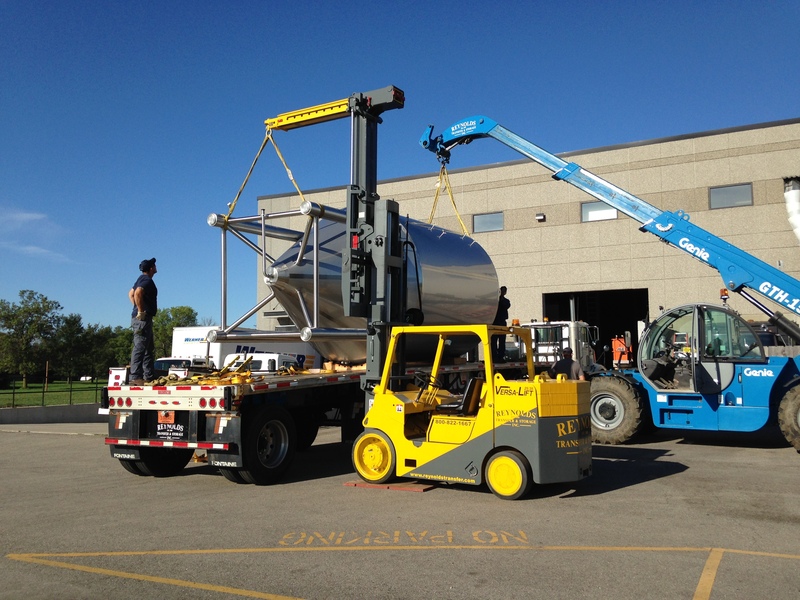 Since 1888, Reynolds Transfer and Storage, Inc. has moved the largest machines through the tightest corners of Madison, Wisconsin and beyond. Successful companies throughout the Midwest rely on Reynolds Transfer for heavy equipment hauling services done safely and efficiently. 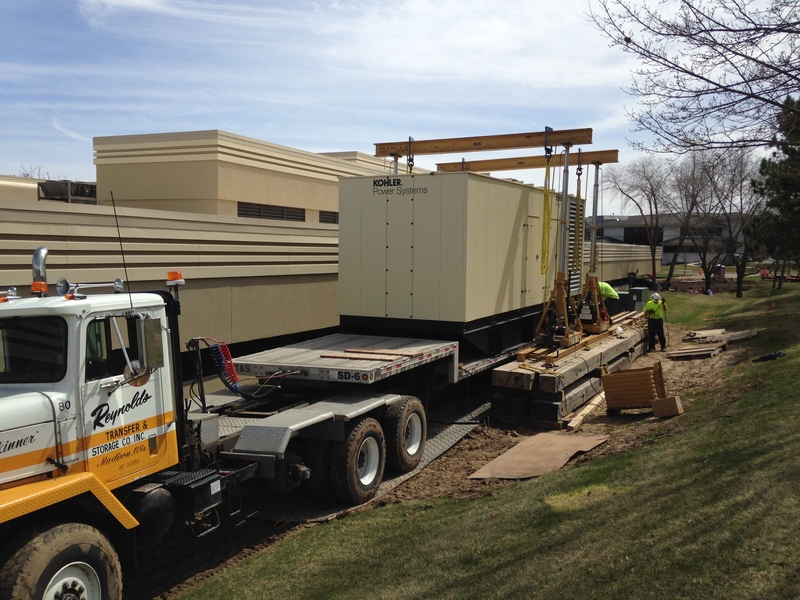 From removing a generator to installing a transformer, our highly experienced and knowledgeable staff complete heavy hauling jobs effectively. We have a large warehouse and yard space that can store your large equipment for a few days, months, or even years.